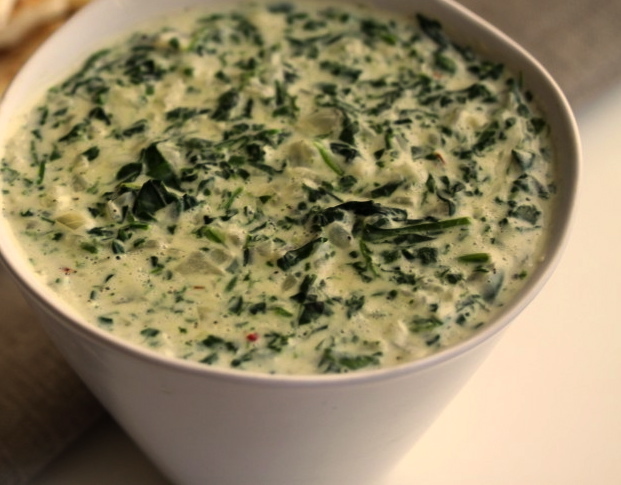 As a child, when my mom introduced me to spinach dip, all I heard was S-P-I-N-A-C-H, and was instantly repulsed. I just could not imagine how anything with a spinach base could be tasty. After a bit of reasoning, I finally decided to give it a try and guess what? I fell head over heels, in love. I’m glad that I decided to trust and believe :p .
Boil and drain spinach. As the spinach boils, it absorbs a lot of water. For the best results, ensure that all of the water is completely drained. Grate the cheese and combine all of the ingredients. Heat the mixture for 90 seconds in the microwave. Serve HOT with nacho chips!